Summary: Medaka is a first year high school student, yet she's elected as student body president with a landslide victory. She's out to build the best student council in history. 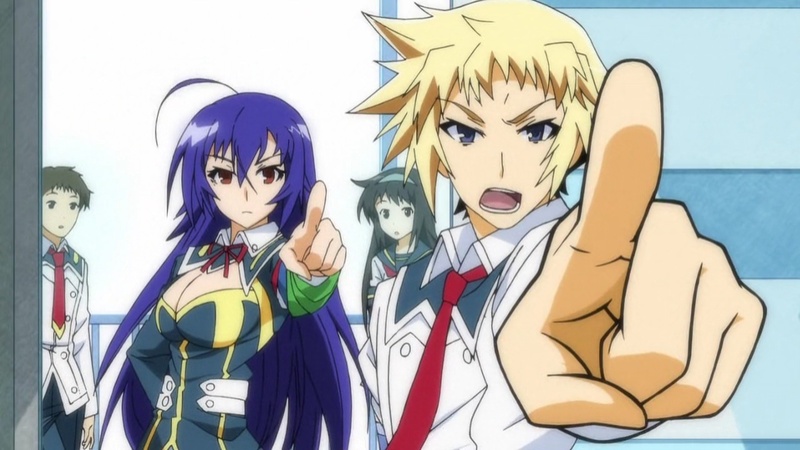 Personal comments: The blunt personality of Medaka feel somewhat like Haruhi Suzumiya when she was first introduced. While the concept is rather old (there are only like a thousand different animes about student councils...), I can sense some fresh ideas in this series. Most importantly, the original author of the story is Isin Nisio, the original author of Bakemonogatari, Nisemonogatari, and Katanagatari. That alone would be enough to stick around to see what this series has to bring us.